Panicking is never a good plan when it comes to investing, but it’s particularly silly now, because nothing truly eventful has happened yet. Sure, the Dow Jones Industrial Average was down 1,175 points on Monday — the biggest one-day drop ever, before stocks fluctuated on Tuesday. In percentage terms, it was a 4.6 percent decline. Investors may not see that every day, especially recently, but it’s happened plenty of times in the past. And yes, the S&P 500 Index was down 7.8 percent since Jan. 26 through Monday. But it’s nowhere near a 20 percent decline that constitutes a technical bear market. It’s not yet even a correction, which is a 10 percent decline. 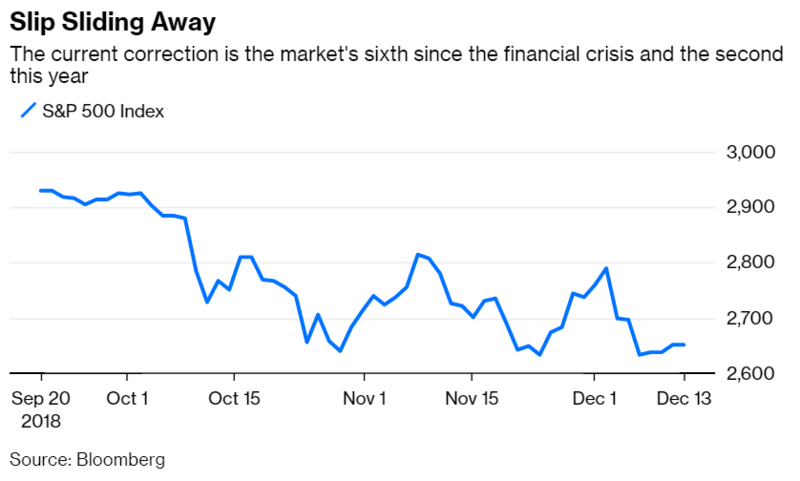 For anyone suffering whiplash after following the markets in recent months, Goldman Sachs’s well-known strategist, Abby Joseph Cohen, recently offered a soothing forecast: She pegged the S&P 500’s fair value at 2,100. As of this writing, the S&P 500 is trading at about 1,896. Cohen didn’t show how she arrived at her valuation, but the calculation is straightforward: you use earnings per share multiplied by the fair value, price-to-earnings ratio. Et voila. 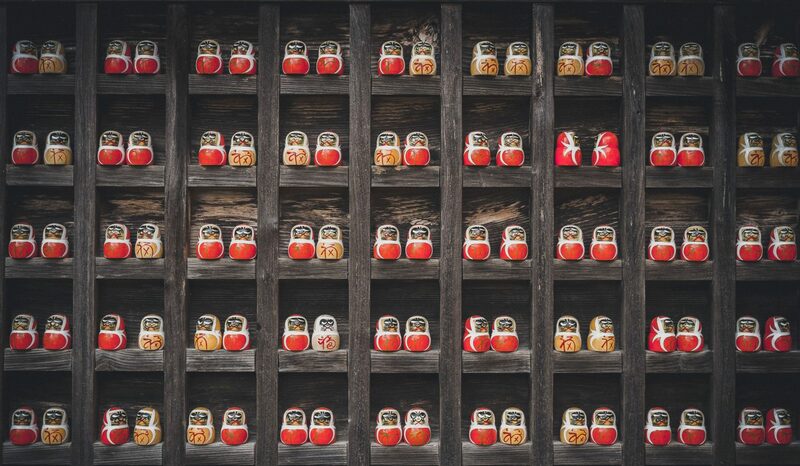 Problems arise and predictions vary, however, because neither EPS nor the fair value P/E is obvious — and the resulting fair value can vary wildly depending on the assumptions used for each of those measures. By using the most conservative of those valuations, we’ve already shed 25 percent from Goldman’s estimate of fair value – a real life decline that would make investors weep – and we haven’t even normalized earnings yet. If we then cyclically adjust earnings using a ten-year trailing average, the normalized operating EPS of $88 yields a fair value of 1,452. The normalized as reported EPS of $76 yields a –- gasp –- fair value of just 1,254. The fair value P/E is as elusive as EPS. A common proxy for fair value P/E is the historical average P/E, and reliable U.S. stock data is compiled by Nobel laureate Robert Shiller going back to 1871. But which historical period should we use? From 1871 to 1945, the U.S. was effectively an emerging market. Soon thereafter, the U.S. joined an elite club of developed countries and eventually became the most creditworthy country in the world. Investors appropriately priced the U.S. more richly in the “developed” period than in the “emerging” period. To see the effect of fair value P/E on the resulting fair value, let’s assume that EPS for the S&P 500 is $126. The average one-year trailing P/E since 1946 is 16.8, which yields a fair value for the S&P 500 of 2,117. But the average one-year trailing P/E since 1871 is 15.4, which yields a fair value of 1,940 – nearly a 10 percent haircut from the post-1946 figure. One way around the problem of deciding which set of historical data to use is to build a fair value P/E from the bottom up (as I recently did for China) by using the sum of inflation, real productivity growth, and dividend yield. The IMF estimates that U.S. inflation over the next five years will be 2.2 percent annually, and that real productivity growth will be 1.7 percent annually. The current dividend yield for the S&P 500 is 2.3 percent. The sum of these three variables is 6.2 percent, the inverse of which implies a fair value P/E of 16.1. 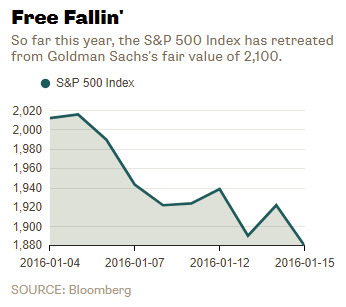 By these lights, Goldman’s fair value for the S&P 500 of 2,100 is aggressive. In order to get there, one has to assume the most optimistic earnings results for 2016 – a forward operating EPS of $126 – and a generous fair value P/E of 16.7. Cohen may be right, of course, but investors would be wise to think critically about her assumptions. Cohen is no stranger to bullish calls. Near the peak of the tech bubble in late 1999, she believed that the market was near fair value. (Cohen says that in March 2000 she suggested that clients sell stocks.) In January 2008, Cohen predicted that the S&P 500 would close the year at 1,675. Spoiler alert: It didn’t. 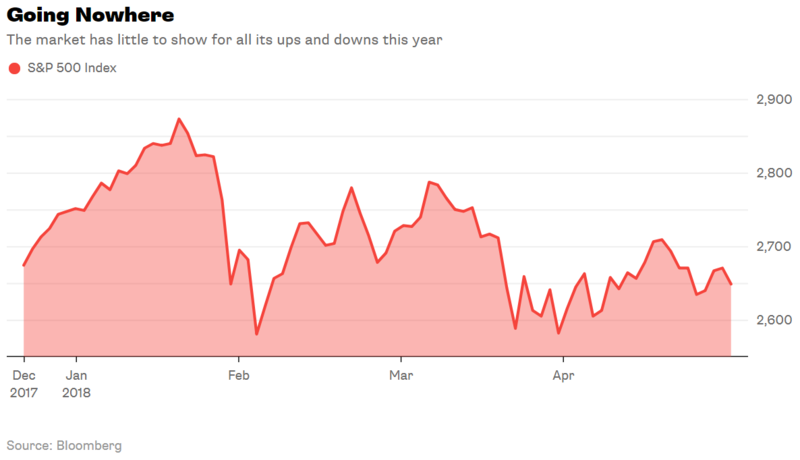 My Bloomberg colleagues reported last week that the U.S. is showing worrisome signs of decline, including weakening retail sales, manufacturing, and wholesale prices. 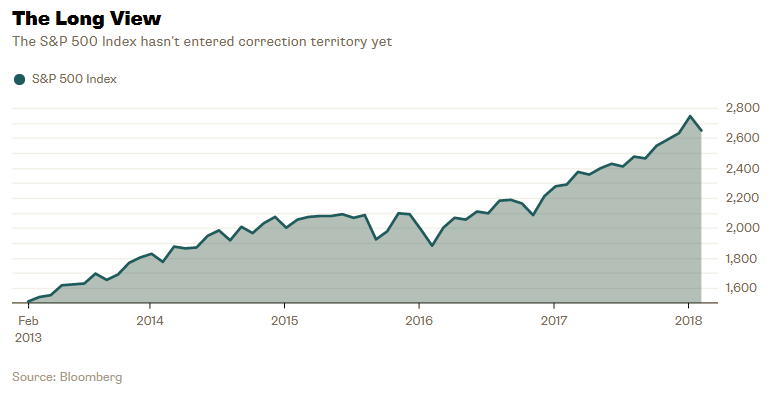 The S&P 500’s brutal selloff so far this year appears to echo those concerns, and 2,100 seems to be increasingly farther way, in my estimation. So I’m inclined to use a more cautious valuation when looking at the S&P 500. I’ll take the normalized operating EPS of $88 and the fair value P/E of 16.1, and peg the index’s fair value at 1,417. But investors need not accept Goldman’s or my estimation of fair value. 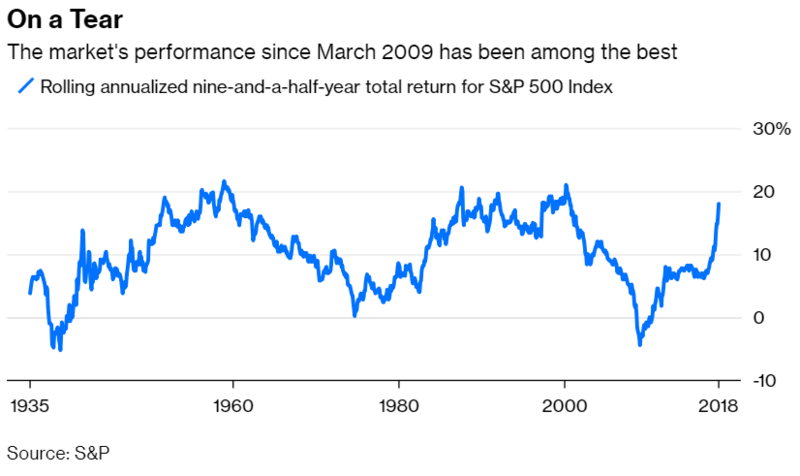 Given how readily available good data is these days, every investor can form his or her own judgment about EPS, fair value P/E, and the resulting fair value for the S&P 500. What the market weighs is earnings. So how to assess “abnormal items” (such as merger costs, natural disasters, one-time sales, or any other unusual event) that skew earnings?